When you’re hunting and camping, you are attracted to the smell of the fresh air, the rush of tracking and hunting your prey, the incredible selection of gear you can get to make your trip better, and the promise of great memories. What you aren’t attracted to are the bugs... but boy, are they attracted to you. Peruse the GrabAGun selection of insect repellants to help you ward of your biggest predator next time you’re outside. Don’t let a mosquito ruin the perfect shot—try insect repellant from your favorite brand right here on GrabAGun, found alongside all of your other hunting and camping needs. Whether you are an all-natural person who wants a product that is gentle on your skin, or if you’re in need of something strong, you can find it in our extensive catalog. Insects are sneaky little buggers, and some can get through your clothing to bite off more than just your exposed skin. 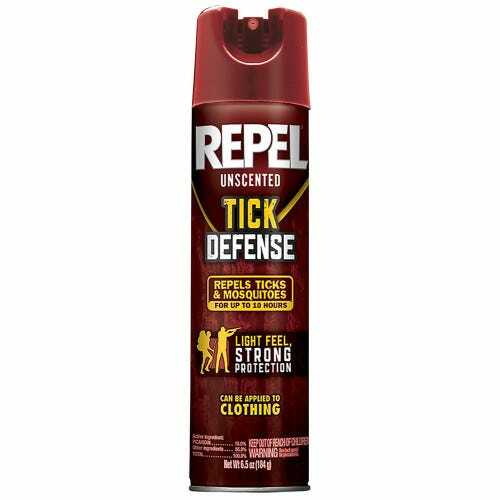 Choose repellant for clothing for those more serious six- and eight-legged creatures, and be sure to find something appropriate for your skin too. We have options in all different size so you can easily and comfortably carry it with you. Or, be sure to prevent the whole family from getting bitten and select a larger can of the good stuff. Insect bites can be more than just itchy, so be sure to protect yourself from contracting dangerous diseases during a trip that is supposed to be fun. Don’t bite off more than you can chew on your next camping or hunting trip by going without the proper gear, and don’t let insects bite off anything at all. Stock up on the insect repellant you need from the best source for your outdoor sporting needs: GrabAGun.